This mod replaces all asphalt with neutral dark in ETS2. 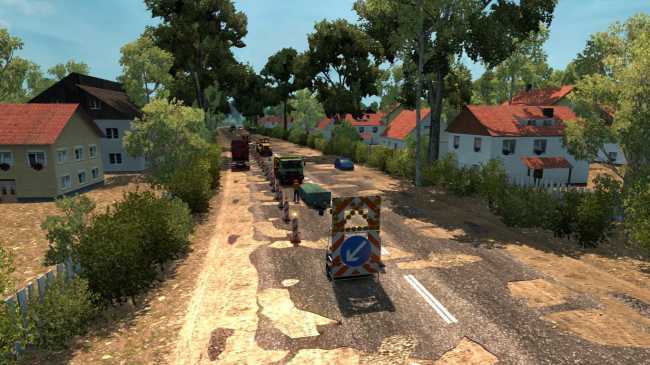 This mod replaces all asphalt with neutral-light in ETS2. This is a updated version of the road connection between Poland and Belarus because many users complained about crashes causing when they crossed the borders. So this is a little Mod, who solve this problems tested with latest versions of POLAND REBUILDING, PROMODS and RUSMAP…have fun!